Yep, 2018....but all part of developing relationships with young recruits and their coaches. @kamaka_hepa4 is Kamaka Hepa, a 6-8/210 small forward from Barrow, Alaska who also plays AAU ball in Arizona. You can see from the video why Hepa is receiving offers....Grand Canyon was first, then UP, then USF. Portland is an easy connect from Barrow through Anchorage on Alaska Airlines.....just saying. Hepa, now 6-9, says he has offers from University of New Mexico, Northern Colorado, University of Portland, University of San Francisco, Grand Canyon University, and Alaska-Anchorage. He also has stated he plans to stay on the West Coast to make it easier for his family to attend his games. But before he gets to college, he's now looking for a high school in the lower 48 that will give him more opportunity for his basketball development and greater competition. Hmm, wouldn't it be nice if UP were to have graduate of La Salle Catholic College Prep, who has a deadly perimeter game, on it's roster in 2018. I hope the La Salle principal knows that Kamaka Hepa is looking for high school. Barrow isn't exactly a hub of activity or a destination, but you can get there from PDX in two hops on Alaska Air. 6-9, 210 PF and apparently leads the state in scoring? It would seem the UP coaches would have to have a very close personal relationship with a kid who is leading the state of California in scoring as a sophomore to convince him to matriculate at UP instead of going to UCLA or Stanford, or even Oregon.....but it would sure be nice to have a recruit come to UP that was NOT a ("below the radar") project/diamond in the rough. EvanDaniels wrote: Stopped by a @NikePortlandBC workout to check out 2018 Kamaka Hepa. Just moved to Portland. 6-8 versatile forward. High major prospect. Get after it, Coach Porter! 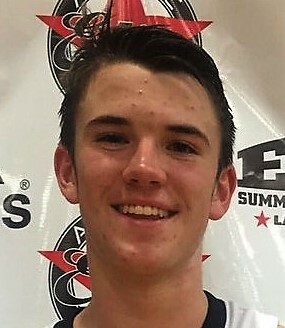 DoubleDipper wrote: But before he gets to college, he's now looking for a high school in the lower 48 that will give him more opportunity for his basketball development and greater competition. LC_Recruiting wrote: Last night at Jefferson HS (OR) open gym: Oregon, Oregon State, Gonzaga and University of Portland all were in attendance. Notes from the Nike EYBL 16U yesterday....(I think Kramer was there representing UP....he can do that because UP still has only one assistant coach and he's passed the NCAA Recruiting exam). Pat Lawless from MADEHoops wrote: Kamaka Hepa from Portland Basketball Club (OR) may have been the most intriguing prospect at the Spring Takeover yesterday. 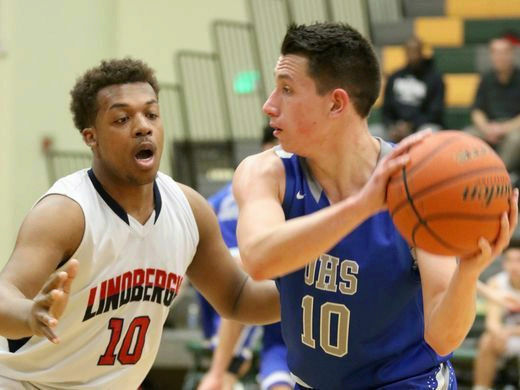 The class of 2018 forward recently moved from the state of Alaska to Jefferson, Oregon. A lot more exposure should come his way now. There were a couple of reasons why he and his family decided to move. The style of play from basketball in Alaska is a lot different than it is in Oregon. Hepa does a lot on the floor, but finds a couple of things he does on the floor to be his best attributes. “I have offers from Colgate, Old Dominion, Grand Canyon, Northern Colorado, San Francisco, Portland and New Mexico,” he said. Oregon, Gonzaga, Utah, Stanford, Washington, UCLA, Notre Dame, Virginia and Miami are some of the high major schools that have expressed interest in him. He will be doing some background information on each school that is recruiting him. “I just want to see how each school’s style of play fits me and how they will let me further my basketball career,” said Hepa. A lot of schools in close proximity to Hepa have been making him a priority. “Gonzaga, Utah, Stanford, Arizona and a lot of other Pac-12 and WCC schools have been in contact with my Dad the most,” he told MADEHoops. Portland Basketball Club is in its first year of existence so Hepa wants them to start out on the right foot. @LC_Recruiting wrote: Newly hired Terry Porter of University of Portland just offered Kamaka Hepa 2018 Portland Basketball Club Forward. @JoshGershon wrote: Portland has offered 2018 Portland Basketball Club PF Kamaka Hepa. 2018 Portland Basketball Club forward Kelton Samore was offered by Portland. Kelton Samore wrote: I consider myself a versatile player. I can run the floor and see well. I’m not just a guy who wants to shoot every time; I want to get the ball to other players and facilitate. I’m working on my athleticism." (I'm looking for a university with) "Good atmosphere, good campus and good academics." Samore, 6-8/205 will be a junior at Grant High School in the fall. His dad, Brian, is the AD and Dean of Students at Grant. 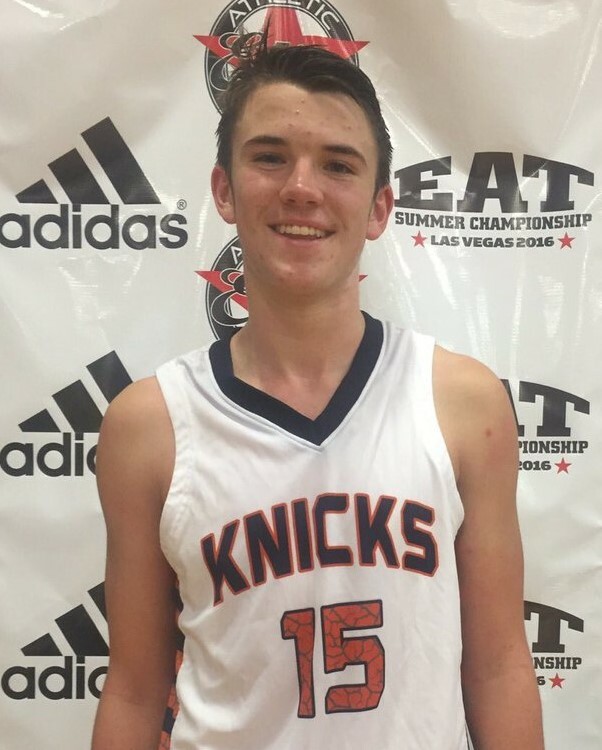 @Josh Gershon wrote: 2018 Earl Watson Elite PG Spencer Freedman added an offer from Portland. Freedman, from Mater Dei HS in Santa Monica, is rated at 4 stars by ESPN, and reportedly has a number of offers that include USC, UCSB, and Rice. This is reportedly his first D1 offer....he's from Las Vegas, NV. With all the coaches out on the road it seemed only a matter of time before we'd hear of UP recruiting possibilities.....and the first name to surface is Majur Majak, a skinny 7-1/205 center.....a refugee from South Sudan who only recently started playing basketball, but who is now going to school at Village Christian Academy in Sun Valley, California. From the tape I've seen and the comments I've read, Majak is a very, very raw talent with a deep appreciation for being in the USA with a chance to get a quality education. "English is my favorite subject, and school is the most important to me,” Majak said. “There are times that the game is too fast for me, but I know I have a lot to learn...."
Pretty sure that's Terry in this video if you freeze it at 5:20. Out scouting 5 months ago in July. A few other coaches down at that end of the court as well. Remember this picture of Roberto Gittens? The picture of the Foss HS (Tacoma) 2017 grad is in the 2017 recruiting thread because UP offered the 4-Star 6-5/180 SG a scholarship last summer, but then he verbally committed to Boise State, but did not sign. Yesterday Roberto decommitted, reclassified as a 2018 grad, and reopened his recruiting. Don't know how interested the Pilots are at this point, but seems to me he'd be a good replacement for D'Marques Tyson next year. 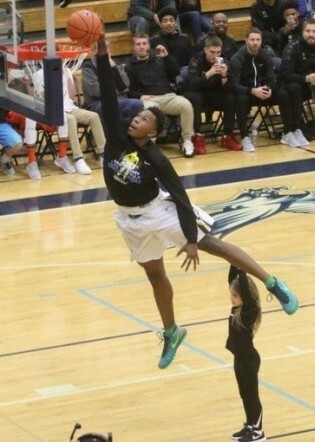 UP scholarship offer to 6'6" Jalen Green from the Seattle area. DoubleDipper wrote: With all the coaches out on the road it seemed only a matter of time before we'd hear of UP recruiting possibilities.....and the first name to surface is Majur Majak, a skinny 7-1/205 center.....a refugee from South Sudan who only recently started playing basketball, but who is now going to school at Village Christian Academy in Sun Valley, California. Majak is now living in North Carolina and will no doubt get even more attention in the months ahead, but another 7 foot center's name has recently surfaced: 7-2 Ousmane Cisse from Dakar, Senegal. Not a lot is known about Cisse, but not to be confused with a number of other men named Ousmane Cisse from Senegal, this Ousmane is going to school in Japan....probably playing against opponents who are at least 6 inches shorter. I haven't seen any tape on him, but by all accounts he's got excellent footwork down low for a young man his age. NoPoNeighbor wrote: UP scholarship offer to 6'6" Jalen Green from the Seattle area. There have been reports the Pilots have also offered 6-2/170 point guard Trevante Anderson from Lincoln HS in Tacoma. I don't have any inside information, but Verbal Commits is reporting that we have offered Ousmane. 7-2...! I just saw that DePaul had a commit from a 5-star guard a few days ago. DEPAUL. 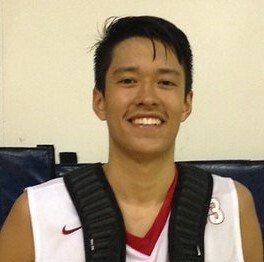 Seriously, if a 5-star guard can end up at DePaul there's no reason that Kamaka Hepa can't end up at UP! Well, DePaul did beat us head-to-head in 1959. Just sayin'.